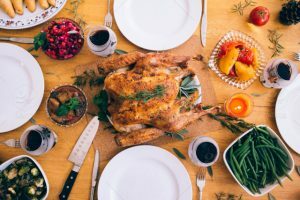 Need last minute ideas on how to decorate your Thanksgiving table? It’s all about mixing and matching, creating a vibrant atmosphere for you, your family and friends. 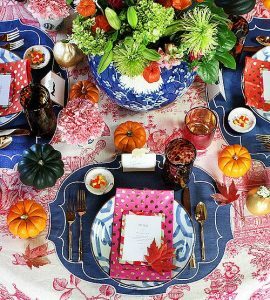 Instead of boring white ivory, use color to give the table more personality. For a more elegant look, layer your textiles. 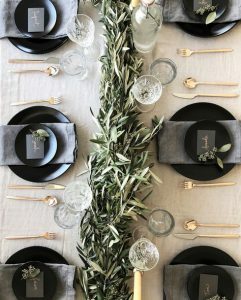 Tablecloth, table runner, placemats, chargers and cloth napkins, this will create a thick layer that feels cozy and looks fabulous. 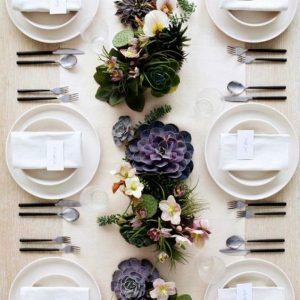 Create a beautiful landscape on your center table by mixing succulents with cut flowers. Mix your crystals with your wood and incorporate antiques with a modern table setting. The eclectic style will be a wonderful surprise for your guests. 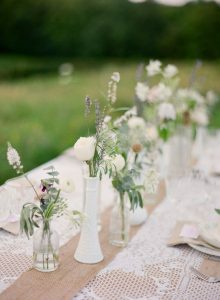 Break up a large bouquet and place each flower stem in a separate vase. It’s not only a beautiful sight, but single-bud bouquets are great because you will be able to see the person sitting opposite of you. 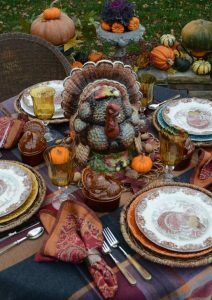 Rockridge Furniture & Design Wishes You a Very Happy Thanksgiving! Come visit us during the Thanksgiving weekend to take advantage of our VERY BIG Thanksgiving Sale!